"The letter is not classified but a footnote says it is exempt from disclosure under FOIA because of what it contains...Only 14 people were copied, all of them with security clearances." "AATIP was funded in the July 2008 Supplemental Appropriations Bill (a Sen Harry Reid add). Its mandate, as outlined in a 2009 letter from Reid to DSD was to assess "far-term foreign advanced aerospace threats to United States..."
"AATIP was funded in the July 2008 Supplemental Appropriations Bill (A Sen Harry Reid add). Its mandate as outlined in a 2009 letter from Reid to DSD, was to assess 'far-term foreign advanced aerospace threats to United States,' including anomalous events (such as sightings of aerodynamic vehicles engaged in extreme maneuvers, with unique phenomenology, reported by U.S. Navy pilots or other credible sources). An examination of the actual KLAS TV news item reveals a rolling shot of the initial page of the 2009 letter which faded to out of focus as it scrolls. However, it is possible to read the first portion of this first page. Beginning this past September, the U.S. Senate has mandated that the Defense Intelligence Agency assess far-term advanced aerospace threats to the United States. The scope of program intent covers from the present out to forty years and beyond. In order to further our effort in recognising emerging disruptive aerospace technologies, technical studies (word missing) conducted in regards to advanced lift, propulsion, the use of unconventional materials (missing words) controls, signature reduction, weapons, human interface (...)"
Knapp and Adams report that former AATIP program manager Luis Elizondo confirmed that the letter was genuine. How do we get a full copy of this letter? George Knapp's story indicates that the letter will not be releasable under the US FOIA. Naturally, this can be tested by submitting an FOIA request. Failing that, is there a possible secondary source? There may well be one. I came across a 29 September 2015 story that The University of Nevada, Reno, will be receiving "...more than 2,000 boxes of documents chronicling Senator Harry Reid's decades-long career in Washington." I therefore checked the current online digital collections service of The University of Nevada, Reno to see if they had commenced work on publishing documents from Senator Harry Reid online. Indeed there is some online material, but I failed to locate mention of the 2009 letter I was seeking. I have therefore dispatched an email to the collections staff inquiring about access to the 2009 letter. In a blog post dated 26 April 2018 I started looking at statements which had been made by various members of the To The Stars Academy about samples allegedly from UFOs. In this post, I will further explore the issue of unusual isotopic rations from such sources. During a 28 January 2018 "Coast to Coast" interview between Hal Puthoff and George Knapp, Puthoff said "I had a chance to look at some material." It is complex. There are no new elements. There are layers of material that you would not expect to be layered. In the 25 February 2018 "Coast to Coast" radio interview between Luis Elizondo and George Knapp, Elizondo stated that these material displayed unique characteristics. From the BAASS perspective, they had very unusual properties, isotopic ratios that were very unique, and not found naturally on this planet. In a May 2018 MUFON Journal based interview between Chase Kloetzke and Luis Elizondo, when discussing media mentions of unusual metal alloys, Elizondo stated that it was actually about "...the potential discovery of certain metamaterials in which their isotopic ratios at the molecular level are so unique and so precise that they are not found naturally on this planet..."
Finally, in his June 2018 speech at the Las Vegas Society for Scientific Exploration conference, Hal Puthoff, speaking of unusual materials, referred to what has come to be known as the Art Bell sample. "It was multi layered bismuth and magnesium sample...supposedly picked up in the crash retrieval of an Advanced Aerospace Vehicle." However, in this particular speech there was no mention of unusual isotopic ratios. TTSA published a blog post about this ame material, see here. For further reading on TTSA's claims about samples, take a look at Jason Colavito's blog post here. They are a form of an element which contains equal numbers of protons and electrons; but different numbers of neutrons in their nuclei. For example, the element Hydrogen has three isotopes; namely Hydrogen; Deuterium and Tritium. Why is an unusual isotropic ratio significant? The solar system, including the Earth formed from elements which had specific isotropic ratios. If an element comes from outside the solar system you wouldn't expect it to have the same isotopic ratios. Another so-called Roswell sample, this one came via the late Dr Roger Leir in 1995. The analysis results were announced at a meeting in Roswell, New Mexico on 4 July 1997. A Dr Russell VernonClark, a Chemist at the University of California at San Diego presented some apparently startling results of his analysis of the sample. He concluded that "From the tests that have been completed ...we have determined that this material shows significant variations from the normal isotopic composition found on the Earth and should be considered extraterrestrial in origin." Unfortunately, on this occasion there was no chain of evidence of where the sample came from, and their was no peer review of the analysis results. Various scientists were consulted about the results and their considered view was that while the isotopic ratios of the sample were not natural, the manufacture of the material could have been undertaken in a laboratory. So, not natural; and manufactured, but no evidence to show the origin of the material. Later, VernonClark backed off from his conclusions about an ET origin. Since 1997, there had been no independent analyses conducted on this sample, and Dr VernonClark's claims have almost been forgotten with the passage of time. A July 2011 article on the Open Minds TV blog told the story of one Frank Kimbler, a high school level teacher of Earth Sciences and a college level teacher of Geology, at the New Mexico Military Institute in Roswell, New Mexico. Using satellite imagery he explored an area said to have been where the Roswell crash occurred, went there and located some metal samples, plus buttons seemingly from military uniforms. The fragments he found were said to be of a "silvery metal that looked aluminum." Examined at New Mexico Tech in Socorro, the sample consisted of aluminum, silicon, manganese (magnesium ? -KB); and copper. Kimbler then approached the University of New Mexico's Institute of Meteoritics, but no isotopic ratio tests were conducted there. "Bigelow Aerospace showed some interest in helping too with his analysis, but after spending months with little results, he had to go elsewhere." For further detailed comments about the link between Kimbler and BAASS by Jack Brewer, author of "The UFO Trail" blog click here. However, contrary to the assertions by Kimbler, that there is something unusual about the magnesium isotopic ratios, the above information shows that the sample's magnesium isotopic ratios were within the standard ranges. I can find no further details of any isotopic ratio analysis on the Kimbler samples. Indeed, in a further Open Minds TV blog dated 22 June 2018 there is "An initial isotope ratio test done in conjunction with the Roswell International UFO Museum and Research center was inconclusive, but suggested the material maybe of unearthly origins." UFO researcher Jacques Vallee gave a fascinating talk titled "What do we know about the material composition of UFOs?" at the 2017 Contact in the Desert conference in the USA. Specifically, he talked about analyses of material ejected from UFOs and more specifically about isotopic ratios. "Even if the elemental compositions are similar, a change in the ratio of the various isotopes, might indicate that the material was manufactured in a sophisticated fashion, possibly outside Earth." Vallee went on to list fifteen known examples of ejected material, between 1897 and 1996; including Maury Island 1947; Ubatuba, 1957; and Bogota in 1975/1976. To me, the most interesting was a sample he referred to by a codeword, "Sierra." Vallee presented details of some preliminary results of the sample's titanium and iron composition. He stated that he is still researching the background to the case, for which he provided no date or location, or details of the UFO connection. Note the Ti47 and Ti49 deviations from the standard. The isotopic ratios of the iron component of the sample had not then been tested. The other interesting samples were two new pieces of material from the 1957 Ubatuba, Brazil event. While in Argentina in September 2016 Vallee visited a UFO museum in Victoria. There he found two Ubatuba samples, one from the late Dr Olavo Fontes and one from an Argentinian sailor named Hercente. Vallee named the samples Muestra A and Muestra B. In the lab the Muestra A sample looked at Magnesium isotope ratios which turned out to be very close to the standard percentages. As Vallee stated the "Ratios are significantly different." Research into the origin and composition of a number of samples alleged to have come from UFOs, has been full of claims and counter claims over the years. However, provided that there is a chain of custody between the initial finding of something which appears unusual, and abnormal findings once a competent analysis has been conducted, with peer reviewed analysis and full disclosure of the entire findings; future research on isotopic ratios does give some sense of a direction to be taken. On 26 July 2018, To The Stars Academy, announced on its website that they had initiated the A.D.A.M. project to collect and analyse anomalous samples associated with UAP. On 3 August 2018, researcher M J Banias on his blog reported on this, and provided some comments from Dr Hal Puthoff. New US congressional hearings on UFOs? "Former Nevada Senator Harry Reid thinks it might be time to hold Congressional hearings into the mystery surrounding UFOs." "Politico Magazine," one of the two December 2017, US mainstream media sources to almost simultaneously publish the original story about what was then called the Advanced Aerospace Threat Identification Program (AATIP), recently launched "Politico Space." "Politico Space, the weekly must-read briefing on the policies, programs and personalities shaping the second Space Age in Washington and beyond." On 12 April 2018, Bryan Bender and Jacqueline Klimas of Politico, hosted a panel which included House of Representatives, Representative Ami Bera, and Representative Randy Hultgren, both members of the Space Subcommittee of the House Science, Space and Technology Committee. The following is my transcription of a video recording of the panel. Bryan Bender: "I thought I would get all of you to weigh in on something that's a little bit out there, but we reported, as others did, late last year that the Pentagon for a number of years had run a UFO research office, that Senator Harry Reid got funded. Something he thought was important. Reports from military pilots of - they don't call them UFOs anymore. I think the term is unexplained aerial phenomenon. But I am curious of your take. I mean, you hear these reports. We have been hearing them for decades. From many credible people. Other countries take it more seriously. They have dedicated researchers in government who in the open, not in secrecy, try to explain the unexplainable. Maybe all three of you. Should we be doing more? Or is this just crazy sci-fi stuff that is a waste of time?" Representative Bera" "Certainly piqued my interest, and I mean, I think it piques a lot of the public's interest. So yes, I got to talk to the Chairman of the subcommittee Brian Babin, as well as Lamar Smith, Chairman of the full committee. I said we ought to have a hearing on this. We ought to bring some folks in. Look, if we want to boost our C-SPAN ratings - a lot of people would be really interested, and since Lamar is retiring this year. This, this would be a great hearing to go out on. I think its fascinating. We don't know what these phenomena are. Obviously, it was important enough to allocate some funds. We ought to talk about what we can talk about openly." 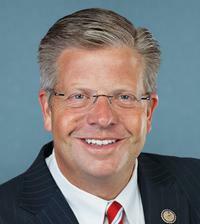 Representative Hultgren: "I agree. It definitely piques interest. It gets people engaged. I don't think it should be the priority of our focus, but certainly we want to get answers. There's a lot of things we don't understand and this is one of those areas we don't understand." So, is it likely that a Congressional committee, in 2018, will call hearings on the subject of UFOs, or perhaps, more specifically on the 2004 USS Nimitz series of incidents? If so, what committees would likely be involved? 1. House of Representatives Armed Services Committee - Chair - Mac Thornberry. 2. House of Representatives Science, Space and Technology Committee - Chair - Lamar Smith. 3. Senate Armed Services Committee - Chair - John McCain. Blog readers of a certain age, may recall that the US Congress previously held Congressional hearings on the subject of UFOs, way back in 1966 and 1968. "To The Stars Academy has proudly been working behind the scenes for weeks briefing hi-level staff in the US government to help inform new National Security Policy dealing with the UFO subject..."
Grant Cameron, on Face Book, provided the following, taken from a 'Coast to Coast' interview between George Knapp and Luis Elizondo on 15 July 2018. Knapp: Can you say if you have been asked to testify? Have you appeared in front of any committee and give information? Elizondo: I think that is a question that you would probably want to ask Congress, and the reason I say that is out of respect for Congress, whether they have or they have not. I would not want to say something that puts someone else so that now they have to answer. It is kind of like a kid with divorced parents. You don't want to ask mom something knowing that dad may or may not agree. Best to ask both at the same time. "We as part of this program looked at some cases that were really good from Brazil. In 1977, 78, it was like Close Encounters of the Third Kind. A thousand pages of documents all done by the Brazilian Air Force investigation team, 500 photographs, 15 hours of motion film, a lot of medical injuries. This is a list of the different kinds of medical injuries that occurred when people encountered these craft at close range, and it has some overlap with cases that we've investigated during the program, of injuries occurring." How does the topic of "medical injuries" relate to the AATIP? The DIA's solicitation for firms to submit a tender for the AAWSA program, in August 2008, HHM402-08-R-0211, has, at attachment one, paragraph 3a) the words "the contractor shall complete Advanced Aerospace Weapon System technical studies in the following areas ...9. human interface, 10 human effects." Earlier, on 28 January 2018, during an interview with George Knapp, Puthoff referred to a Bigelow Aerospace Advanced Space Studies (BAASS) archive of data - such as the 1977 Brazilian Air Force study with 1000 pages of documents; 15 hours of movie film; 500 photographs amd then states that the data base was BAASS proprietary. I wanted to find out more about what happened to the Project Prato data. The Internet contains much information about the project itself, but almost nothing about the disposition of material beyond Brazil itself. However, I did find a mention in one of Jacque Vallee's works. In July 1988 Jacques and Janine Vallee visited Brazil on a research trip. (Forbidden Science Vol. 3. )There I found much about what the Vallees knew, about Project Prato. The Vallee's were shown a file by Hollanda which "...held the military photographs, detailed aerial maps, trajectory analysis by the staff of Project Prato. Every page was stamped "confidential" on top and bottom." Vallee was told that the originals of some of the photographs had been sent to the Brazilian capital city of Brasilia. Vallee reports that following the official Brazilian Air Force investigation, news media visited the same area and took their own photographs. "And all the negatives taken by the newspaper teams have left Brazil, purchased from the publishers by an unnamed American firm. " In summary, the vast amount of material gathered by Hollanda and his team, went in a number of directions, with copies being kept by Hollanda and the other, unnamed Colonel; and some went off to Brasilia and Brazilian Air Force headquarters. It was also reported that newspaper photographs of the phenomenon was bought by an unnamed American firm. However, we do not have a date for the latter action. It is unclear from Puthoff's reference to "A thousand pages of documents all done by the Brazilian Air Force investigation team, 500 photographs, 15 hours of motion film.." as to whether this was the data that BAASS acquired, or was a reference to the amount of data that the Brazilian Air Force itself gathered. To read a very detailed summary of the contents of some of the documents click here. Dr Hal Puthoff and the Soviet project "Thread-3"
A constant part of the message, that Luis Elizondo has been spreading about what he refers to as the Advanced Aerospace Threat Identification Program (AATIP) is that, if the phenomena itself is not a threat; then a threat might exist if the Russians or Chinese learn the secrets of the phenomena, in terms of military applications that might follow this discovery. This theme of a threat from the Russians was repeated in the recent speech by Dr Hal Puthoff at the Society for Scientific Exploration's recent conference, in Las Vegas, Dr Hal Puthoff mentioned that "...the Soviet Union had a massive program also trying to get to the root of all this...of course they had the same concerns we did. Is there a threat from the phenomena or might the Americans make headway before us and that be a threat?" In his talk, Puthoff referred to a document about a Soviet research program named "Thread-3." I searched around to see what I could find out about this Project. Gresh's article then moves on to 'The Ministry of Defense official who is in charge of the current program...we can give the name of the study 'Thred-3...' In the documents obtained by Gresh and Knapp, there is mention of sightings by Cosmonauts. * Sightings by cosmonauts and astronauts. 'Las Vegas KLAS-TV journalist George Knapp brought back from Moscow in 1992 a thick UFO dossier from the old Soviet Ministry of Defense, and a then recent project called "Thread-3" from the Russian Ministry of Defense. A few of the "Thread-3" documents discuss some cosmonaut sightings, although it must be clarified that they are based on public statements by Marina Popovich and other Russian ufologists, and not on internal data obtained by the Ministry of Defense…Back to the "Thread-3" documents, it mentions an audio tape of the conversations at 0.14am on June 17 1978 between cosmonauts Vladimir Kovalenok and Alexander Ivanchenko on the Salyut-6 space station and Mission Control outside Moscow..."
'The last category of documents obtained by Knapp are not part of the old Soviet Ministry records kept by Col. Sokolov, but part of the "Thread-3" project undertaken since 1991 by the current Ministry of Defense. It would appear that the Russian 'Thread-3' UFO study program probably ran between 1990 and 1995. Knapp/Gresh were able to secure 'several dozen pages' of the study documents. An image of only one page of these documents has been publicly released. It would appear that only Gresh/Knapp have a full set of these documents. Dr Puthoff spoke of his interest in the areas of a) quantum vacuum fluctuations, b) remote viewing, and c) Unidentified Aerial Phenomena. In this latter area, he spoke about his work with the Advanced Aerospace Weapon System Applications program. This post will highlight parts of his speech which interested me, and is not intended to be a full report of the speech. Quotes below are from Dr Puthoff's speech. "The program was nicknamed Advanced Aerospace Threat Identification Program..."Advanced Aerospace Weapons Systems Application program" is the actual name of the program." The Defense Intelligence Agency's 2008 solicitation for bidders for this contract, states that the program was called Advanced Aerospace Weapon System Applications program. "It began in June of 2007..."
Although a number of people have made comments that the program commenced in 2007, I have not before seen a month in 2007 mentioned. I note that Dr Puthoff mostly uses the term "Advanced Aerospace vehicles "when referring to the phenomenon under study. "This is a document in the program we dug out of the Soviet Union ("Thread-3.") It's a very thick document. It shows that the Soviet Union had a massive program also trying to get to the root of all of this. In this document a number of research institutes and military institutes are listed..."
1. An Internet search using the term "Thread-3" failed to locate any information. 2. The reference to "a massive program" contrasts with information revealed in one of the UK UAP files released last year. File DEFE 24/3152 pages 219-220, reveals a DI55 paper titled 'Unidentified Aerial Phenomena (UAP)" dated 19 June 1995. 26. [Redacted] have confirmed that at least until the early 90's a small team studied UAPs at Ramenskoye." "So, I let out 38 contracts over a two-year period. I'll show you what the studies were on. You can read them there: positron aerospace propulsion, IEC fusion as a compact energy source, warp drive, dark energy, extra dimensions, metallic glasses for aerospace use... Here are some of the papers I commissioned: negative mass propulsion, antigravity for aerospace applications, programmable matter, invisibility cloaking..."
1. Although the titles of seven of these DIRD's are known, only copies of three have been released. 2. A search for the words "positron aerospace propulsion" brings up a number of articles including this one. 3. A search for the words "IEC fusion as a compact energy source" brings up a number of items including this. 4. Several articles appeared when the words "metallic glass for aerospace use" were searched. Here is one. "...there's lots of materials that have been picked up or provided even in the public domain...This is an open source sample. It was sent anonymously to talk show host Art Bell....It was a multilayered bismuth and magnesium sample...Nowhere could we find any evidence that anybody ever made one of these... Well, years later, decades later actually, finally our own science moves along. We move into an area called metamaterials, and it turns out exactly this combination of materials at exactly these dimensions turn out to be an excellent microscopic waveguide for very high frequency electromagnetic radiation.."
1. See my previous blog post about these materials. I wish to thank Paradigm Research Group for publishing the entire transcript. Last August I announced, that following work by Sweden's Archives for the Unexplained (AFU) ; UK researcher Isaac Koi; myself; Keith Roberts of Tasmania, and Bill Chalker of New South Wales, that a digital archive of Tasmanian UFO Investigation Centre (TUFOIC) Newsletters, and periodicals of the UFO Investigation Centre (UFOIC) had been created and was available for access. Today, I am pleased to advise that following work by the AFU; Isaac Koi; myself, and a former official of the Victorian UFO Research Society (VUFORS), many digital copies of periodicals of VUFORS are now available for access. VUFORS started life, as the Australian Flying Saucer Research Society (Victorian Branch) on 17 February 1957. Later that year it was renamed the Victorian Flying Saucer Research Society (VFSRS.) In 1968 VFSRS became the Victorian UFO Research Society. The group published a number of periodicals, specifically the Australian Flying Saucer Review (AFSR) (joint editions with the UFO Investigation Centre (UFOIC) of News South Wales, and then separately as AFSR (Victorian edition). In 1972 when high costs forced the closure of the AFSR, it produced issues of the Australian UFO Bulletin. To access an issue of the VFSRS/VUFORS periodicals, simply click here, or paste the link below into a web browser, which will take you to the collection. If you click on any issue and open it up, then click on the ... symbol, you will then be able to download that issue. If you are unable to download for any reason then email me at keithbasterfield@yahoo.com.au and I will WeTransfer you that issue(s). Airbus, a European aeronautical group, will soon be flying unmanned, Zephyr, high altitude pseudo satellites (HAPS) over Northern Australia. They will be based at Wyndham Airport, in northern Western Australia. Each Zephyr aircraft weighs under 75 kilograms, and operates by charging its solar powered batteries during the day, which enables it to operate 24 hours a day. It is projected to fly at 65,000 feet, with a flight duration measured in weeks. It has been designed for a multitude of roles, including precision farming guidance; internet coverage in isolated localities, and military surveillance. The anticipated date of deployment of the first operational aircraft is given as mid -2018, i.e. about now. Yet another IFO to watch out for. A UFO film - "The Nullarbor." There are two Australian UFO cases, of which almost all researchers have heard. The first is the 1978 disappearance of Victorian pilot Frederick Valentich. The second, is the 1988 Knowles family encounter on the Nullarbor Plains of Western Australia, which is the subject of this post. In the early morning hours of 20 January 1988, members of the Perth based Knowles family, were travelling by car from Perth to Melbourne, driving through the night over the isolated Nullarbor Plains near the Western Australia/South Australia border. They reported seeing an unusual light, near ground level, which they believed then attempted to lift their car off the ground, during an extended encounter. Their story made headlines around the world, and locally was investigated in depth by members of UFO Research of South Australia. Now, the story is to be told in a full length feature film. The International Movie Data base shows that a film titled simply, "The Nullarbor" is in pre-production. It is scheduled as a 90 minute, "action, drama, sci-fi." The plot given there is, "On a dark and lonely road an ordinary family encounter something extraordinary. This is their story." The IMDb provides the following information regarding cast and crew. Jane Badler plays "Helen Fields," Jane is an American actress who relocated to Australia and is best known for her role as the evil reptilian Visitor leader "Diana" In the NBC mini series "V.""
John Brumpton plays UFO rsearcher "Keith Basterfield." Paul Todd plays "Patrick Knowles." Marty Rhone plays truck driver "Porky." Tony Markulin plays truck driver "Graham Henley." Adam La Rosa plays police Constable "Dean Matthews." John McCullough plays "Professor Glen Moore." Isaac Still plays "Sean Knowles." Serge De Nardo plays police "Seargent Trebilcock." Writers are Kerryn Markulin and John Smithers. I am unaware of when production will commence. While on the subject of UFO cases from Australia; what news on a possible full length movie film based on the 6 April 1966 Westall incident? I am aware of at least three individuals, all Victorian based film makers, who have shown interest in this subject. One such film maker, who coincidentally was born in 1966, who is also a film director and film producer, has long shown an interest in making a "Westall the movie." I understand that a script has been finalised. The second individual, a Melbourne based film maker, is looking for their next project, after completing a series for pay television. The third individual is Matt Poidevin, director for "The Nullarbor." A search of the IMDb found that Matt's "Westall" is "In development,"
I decided to check the IMDB using the word "Valentich" and was surprised to find that a 14 minute short story titled "The Disappearance of Frederick Valentich was made in 2017 by director Luke Robson. In a Coast to Coast radio interview on 28 January 2018, between journalist George Knapp and Eric W Davis, Davis outlined his sub-contractor role within the Bigelow Aerospace Advanced Space Studies (BAASS) program for the Advanced Aerospace Threat Identification Program (AATIP.) At the Institute for Advanced Studies, based in Austin, Texas, his job was to provide broad scientific advice, and recommendations. He did not get into any data analysis, video analysis or witness interviews. He was tasked with looking into the future - around 2050 - to set up a series of expert studies - and produce a series of Defense Intelligence Reference Documents (DIRDs.) To look at a variety of topics and get experts to write a DIRD on that subject. Authors were asked to imagine our earthly technology, extrapolate it to 2050 and compare what we might have by then against what we see of the phenomenon today. Davis stated that 38 such papers were produced, with two being classified. 1. Davis, E.W. (2010), "Laser Lightcraft Nanosatellites," Defense Intelligence Reference Document, Defense Futures, DIA-08-1011-001, Technology Warning Division (DWO-4), Defense Warning Office, Directorate for Analysis, Defense Intelligence Agency, Washington, DC. 2. Obousy, R.K. and Davis, E.W. (2010). "Warp Drive, Dark Energy, and the Manipulation of Extra Dimensions," Defense Intelligence Reference Document, Acquisition Threat Support, DIA-08-1004-001, Acquisition Support Division (DWO-3), Defense Warning Office, Directorate for Analysis, Defense Intelligence Agency, Washington, DC. 3. Davis, E.W. (2010), "Concepts for Extracting Energy from the Quantum Vacuum," Defense Intelligence Reference Document, Acquisition Threat Support, DIA-08-1004-007, Acquisition Support Division (DWO-3), Defense Warning office, Directorate for Analysis, Defense Intelligence Agency, Washington, DC. 4. Davis, E.W. (2010), "Antigravity for Aerospace Applications," Defense Intelligence Reference Document, Acquisition Threat Support, DIA-08-1003-018, Acquisition Support Division (DWO-3), Defense Warning Office, Directorate for Analysis, Defense Intelligence Agency, Washington, DC. 5. Davis, E.W. (2010), "Traversable Wormholes, Stargates, and Negative Energy," Defense Intelligence Reference Document, Acquisition Threat Support, DIA-08-1004-004, Acquisition Support Division (DWO-3), Defense Warning Officer, Directorate for Analysis, Defense Intelligence Agency, Washington, DC. 6. Davis, E.W. (2011). "Quantum Tomography of Negative Energy States in the Vacuum," Defense Intelligence Reference Document, Defense Futures, DIA-0801102-007, Technology Warning Division (DWO-4), Defense Warning Office, Directorate for Analysis, Defense Intelligence Agency, Washington, DC. Have we seen any of these 38 DIRD's? We have seen three. Two written by Davis, namely, DIA-08-1004-004 dated 6 April 2010; and DIA-08-1004-001 dated 2 April 2010. The earliest appearance of these two documents can be traced back to a website operated by US researcher Corey Goode. They appear in an item written dated 18 December 2017. How do we know these are copies of the real, original documents? Isaac Koi posed this question to Eric W Davis by email; together with a copy of the two documents. Davis confirmed they were his documents. The third DIRD, this one written by Hal Puthoff surfaced on 5 May 2018 as a link within a report by George Knapp and Matt Adams It was DIA-08-1003-015 titled "Advanced Space Propulsion Based on Vacuum (Spacetime Metric) Engineering" and dated 29 March 2010. How do we know this is one of the 38 prepared DIRD's? I emailed Hal Puthoff; sent him a copy of the document, and he confirmed by return email that it was his original DIRD.. In summary, we know there were 38 DIRD's prepared. We have the titles of seven of these, and a full copy of three. Have we knowledge of any other information on these DIRD's? 2.A search of the Internet brings up copies of the two Davis DIA-08-1004-004 dated 6 April 2010; and DIA-08-1004-001 dated 2 April 2010.and one Puhoff DIA-08-1003-015 DIRDs already described above. 3. Hal Puthoff published a paper with the same title as his DIRD, "Advanced Space Propulsion Based on Vacuum (Spacetime Metric) Engineering" in 2010 in the Journal of the British Interplanetary Society. 4. In a talk entitled "Empty Space: The Multilayered, Multicolored Superconductor," by Eric W Davis at a conference titled "Modern Topics in Energy and Power", US Army Research Laboratory, in August 2016, referenced two DIRDs, namely DIA-08-1004-007 and DIA-08-1102-007, both of which we were already aware of, from Davis' Earth Tech DIRD list. 5. I searched the US website for the Defense Technical Information Centre for any of these DIRDs. There were two documents, dated 2004, by Eric W Davis concerning "Teleportation Physics Study" and "Advanced Propulsion Study." However, I was unable to locate any of the six 2010/2011 Davis DIRDs or the one by Puthoff on this website. 1. Where did the funding come from for the work on the DIRDs? Was it directly from the DIA? From BAASS? From some other source? 2. When was the request received for the DIRD work to commence? Who asked for the work to be undertaken? 3. How many DIRDs were completed? How many were classified? 4. Who gave a number of DIRDs to Corey Goode? Why? 5. Who gave a copy of one DIRD to George Knapp? Why? 6. Who has a complete set of the DIRDs? Hal Puthoff? Eric Davis? Anyone else? 7. Has anyone obtained copies of all the DIRDs via an FOIA request? 8. Who are the authors of the non Puthoff, non Davis DIRDs? Dr Eric Davis was interviewed by George Knapp on the "Coast to Coast" US radio show on 24 June 2018. During that interview, Davis mentioned that he and Hal Puthoff had arranged for 38 papers to be prepared. The subject areas included, materials; metamaterials; warp drive; medical aspects; advanced nuclear fusion for aerospace propulsion (undertaken by colleagues at Lockheed Martin); and alternative nuclear fusion techniques. He went on to say that 2 or 3 of these papers had been "leaked" onto the Internet, by "someone on the beltway." The beltway is a highway that encircles Washington. A reference to "inside the beltway" means matters of importance to US government officials; lobbyists; and government contractors. As my anonymous commentator stated, Winterberg was indeed a PhD student of Heisenberg's. I therefore located a list of Winterberg's published papers. The three known DIRDs were all published in 2010, and we know that Puthoff published an open source version of his DIRD, "Advanced Space Propulsion Based on Vacuum (Spacetime Metric) Engineering" in 2010 in the Journal of the British Interplanetary Society. Both Puthoff and Davis stated that 36 of the DIRDs were 'unclassified' and therefore there seemed to be no reason why DIRD authors should not also publish that work undertaken for the DIRD, in open source publications. Therefore, I looked for any papers which Winterberg published in 2010, in the mainstream literature, that matched Davis' comments. There was only one, namely 'Deuterium microbomb rocket propulsion,' published in Acta Astronautica 66 (1-2), 40-44. I would suggest this may well have been the subject of another of the DIRDs.